Easy, easy, fast and simple. My son is flipping over this last batch of strawberries I bought. He'd have liked the whole box filled with nothing but these strawberries. 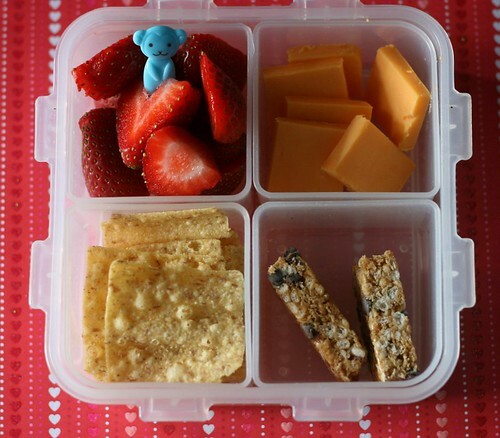 ;) Alas, just one 1/4 got the lovely red berries, joined by cheddar cheese, granola bar and SunChips.